It may seem tempting to turn to a big box retailer for your drapery, blind and shutter needs, but there are numerous benefits to hiring a window treatment professional to help you decorate your windows. If you are updating your home with a new look, here are a few great reasons to consider calling a professional window design company. There are always new inventions on the market for making tasks around your home a little bit easier—and window treatments have not been left behind when it comes to such innovative conveniences. I am writing, of course, of motorized window blinds and drapes. Although motorized window treatments have been around for a while now, the technology to operate them has constantly been improving, while the cost of adding them to the home has been dropping. 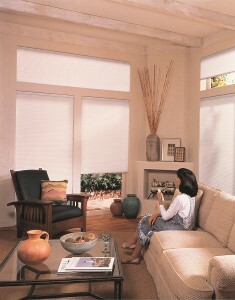 Comfortex's PowerTouch brand (a favorite of mine), for example, offers motorized shades at affordable price points that won't break the bank, making this amazing feature accessible to even the most of decorating budgets. For the seventh year in a row, I am delighted to share that Exciting Windows has our gorgeous window treatments featured in the 2015 Colorado Springs Parade of Homes! 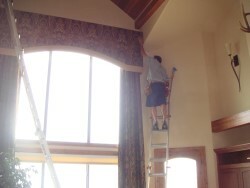 This year, Exciting Windows was invited to create window treatments for Copperleaf Homes. Located at Site 16 in the Black Forest - 12755 Oak Cliff Way, our window coverings are on display through August 23. 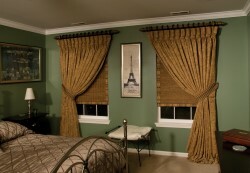 In my last article, I shared inspiring ideas for decorating your home with custom window treatments. We touched briefly on the dramatic way that cornices and valances can transform your décor, but I wanted to take a deeper look at these window superstars. Top window treatments can be a simple-but-amazing change to your current windows, and there are a variety of styles that are budget-friendly and beautiful. When choosing between the variety of window treatments available, custom draperies are flexible and functional without sacrificing style or originality. 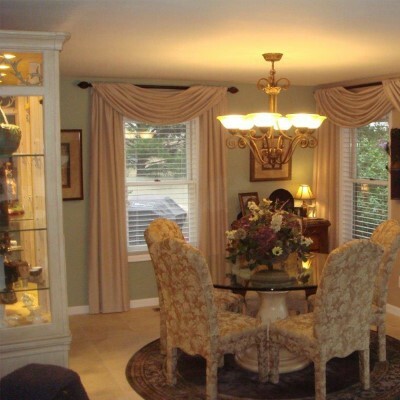 Drapes are one of my most favorite treatment styles and here are just a few of the reasons why they should be yours, too! 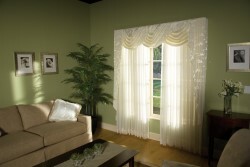 Complete your newly decorated room with picture perfect windows. If you're looking for ideas to add a dramatic finish to your newly decorated room, there's no better way than beautiful and stylish custom window treatments. 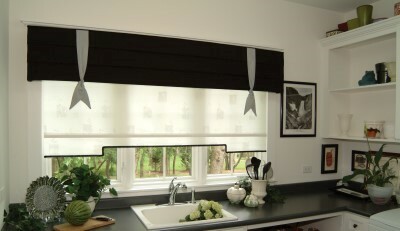 Dressing your windows gives your room an extra special touch that truly reflects your personal style. But with so many treatments to choose from, how do you know what's right for your space? I've created a handy list of inspiring ideas that are time-tested, classic, and beautiful. From traditional to modern, draperies are the most flexible of all the window treatments, offering endless combinations of fabrics, lengths, patterns, and colors. Dress your windows in bold color for maximum contrast, or use a subtle neutral that will look lovely with any paint shade or furniture change. Pick fully operable drapes for maintaining heat and cold in the home, or a subtle decorative side panel for an accent of class and beauty.